Only six months after the release of her Grammy award-winning album “Sweetener”, Ariana Grande released her fifth studio album, “Thank U, Next“, early February. This newest release opened new territory for her, is an open love letter to herself and the past year of her life. “Thank U, Next” debuted at number one on the US Billboard 200 with 360,000 album-equivalent units in its first week, of which 116,000 were pure album sales. And it also topped the charts in the second week, selling an additional 151,000 equivalent album units, making it the first album by a solo woman to spend more than one week at No. 1 in over a year. 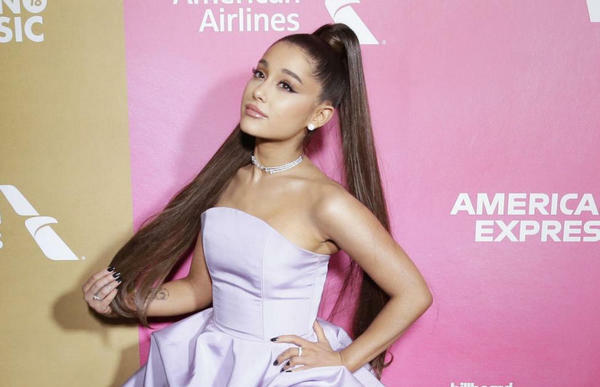 In addition to Grande’s success on the Billboard charts, the 25-year-old singer’s fifth studio album also became the biggest global pop album debut in Apple Music’s history within 24 hours of its release. Currently all the songs in Ariana Grande “Thank U, Next” are available on most streaming music services, including Apple Music, Spotify and more. As to streaming music services, it’s known to us all that all the songs on those platforms are protected in DRM and can’t be downloaded as local files directly. In this article, we are going to introduce a simple yet efficient way to download Ariana Grande “Thank U, Next” full album from Apple Music to MP3 format so that you can listen to the album offline or transfer them to other devices for enjoying. If you want to download songs from Apple Music to MP3 format, a professional Apple Music downloading and converting tool is needed. 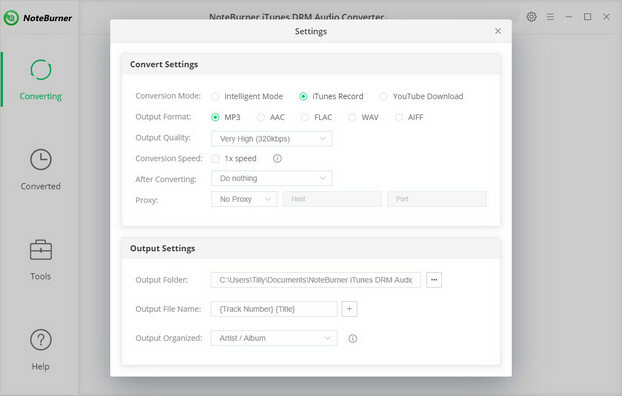 Among all the Apple Music converting tools at present, the most powerful and handy one is NoteBurner iTunes DRM Audio Converter. 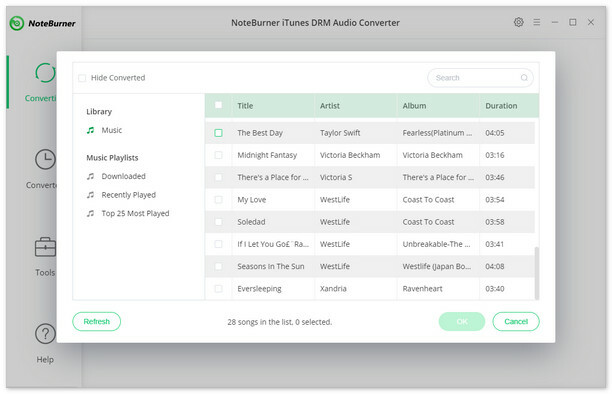 Developed by NoteBurner Company, it is adopted with an innovative decryption method that can completely remove DRM protection from Apple Music songs, while converting them to DRM-free MP3, FLAC, AAC or WAV format at 10X speed. And it is no need to wondering about the quality loss, all the converted files are lossless. Furthermore, the smart tool is also capable of converting protected iTunes M4P music and audiobooks to MP3, AAC, WAV, and FLAC format. The following is the detailed tutorial to teach you how to download Ariana Grande’s new album “Thank U, Next” from Apple Music to MP3 format. Please download NoteBurner Apple Music Converter first before getting started. Launch NoteBurner Apple Music Converter and click the button “+” to add music, it will pop up a window, which will show you all of songs you have downloaded from Apple Music. You can choose any song you want to convert. After adding the song successfully, please click the button “Setting” to choose the output format as you need, in the pop-up window, you can choose output path, output format and output quality. WAV, AAC, MP3, and FLAC are available to choose. After completing the above steps, the final one is clicking the button “Convert”. Just a few second, it will succeed. After conversion, click the “History” button in the main interface to find the output audio. Now, the converted songs are DRM-free, you can transfer and enjoy them on any of your devices without restriction. What’s next? 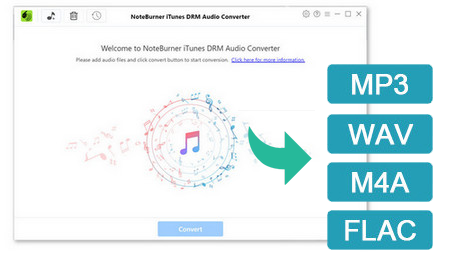 Download NoteBurner Apple Music Converter now!